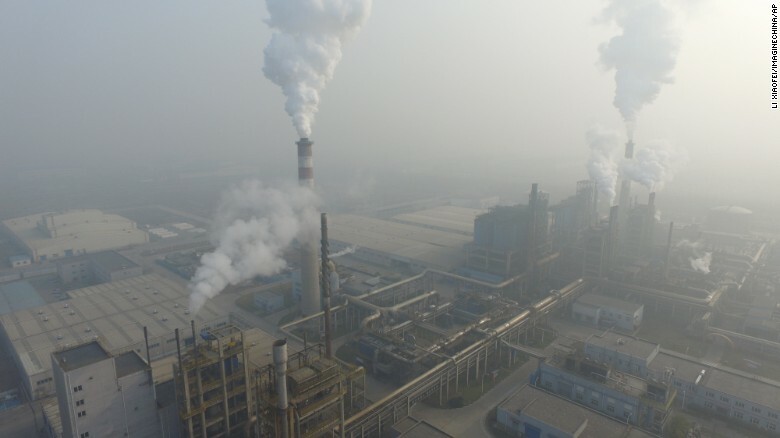 A dangerous gray haze descended on Northeast China over the weekend, choking off schools, flights and industry and endangering citizens simply trying to breathe, according to the Guardian reports. China saw the smog coming and last week issued its first red alert of the year for 23 cities. As of Saturday, the smog covered 10.1 million square kilometers (3.9 million square miles), according to the country's Ministry of Environmental Protection. That's roughly the area of the United States. In the port city of Tianjin, just southeast of Beijing, officials shut down expressways, increased public transportation capacity by 15% and ordered cars to run on alternate days based on whether the vehicles' license plates end in odd or even numbers. Tianjin Binhai International Airport, a major air cargo center, suspended service from Sunday evening to mid-morning Monday, resulting in the cancellation of 131 flights and 75 delays.